A short description of Koh Samui real estate and your dedicated real estate agents from land for sale Koh Samui. Julie & Julien are working together at Land for sale Koh Samui since 2012 when they created the first website only dedicated to land for sale in Koh Samui. Julien started to work into Koh Samui real estate back in 2006 for a Bangkok based developer during the years 2006 to 2009 then moved to the hospitality development for Red Planet hotels in Bangkok working on market research and feasibility to land acquisition though out South East Asia until 2012 . That helped to create the foundation to what is today our company Samui Marvel Properties and our dedicated land website Land for sale Koh Samui. Julie was at this moment working for Dusit Thani 5 star hotel in Bangkok perfecting her guest services skills to later join Booking.com and learn about the hospitality market on the island. She then moved to the Koh Samui real estate industry and specializing on luxury villa rental, later she joined a local well established real estate agency to perfect her sales and negotiating skills. Now united together under one brand since 2012. The website evolved in 2019 for the new version incorporating new design and also few selected properties. Often the most easy way to get what you need for you’re dream villa project is to e-mail use your criteria such as location, size and targeted budget. When are you planning your land acquisition is also very important. Land for sale in Koh Samui is in 2019 a very active market, what is listed now might be sold next week. The new Chinese real estate boom in Samui but in Thailand in general is definitely have boosted sales and prices of the Koh Samui real estate local market. We both have extensive connection with local land owners and brokers to find the best land for sale in Koh Samui for our clients. Thought out the years it as become more and more difficult to source beachfront land for sale in Koh Samui, limited offers increasing price, new regulation. That said the crown of Koh Samui real estate asset that you could add to your Koh Samui property portfolio as not let any investor down, increase in value can be measured to a close 20% per year for the beachfront land. 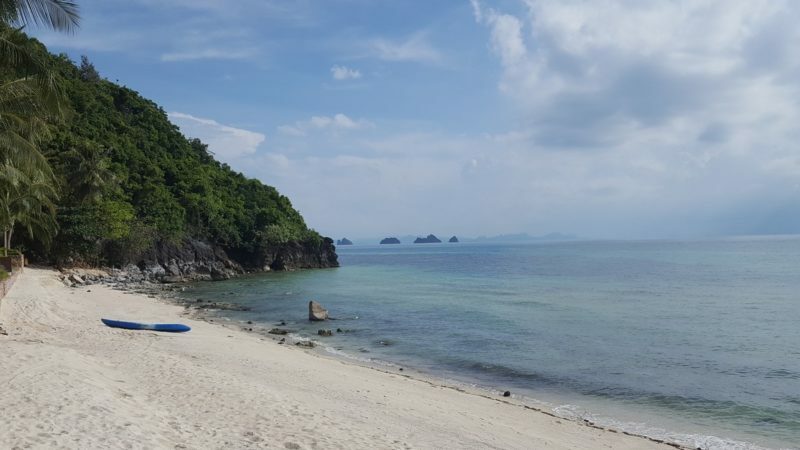 We have seen the beachfront land for sale in Chaweng Koh Samui goes from one to two million bath per rai in the 1990-95 to more hundred twenty million bath per rai in 2019 this is close to 45% per year only for Chaweng beach. To be noted that not all those are considered swimmable all year round, tied and low coral plate or de deal with once considering the southern area from Lamai to Talignam beaches. Of course those are just indication but more or less real facts about the Koh Samui real state market. You might get lucky on a fire sale but those don’t come so often regarding beach land. For hospitality and real estate developer large plots of beachfront land Koh Samui are still available for sale and often not listed by agents. You are now at right place for your Koh Samui real estate research.